Kamaz started assembling trucks way back in 1969 and today its the largest truck manufacturer of Russia. 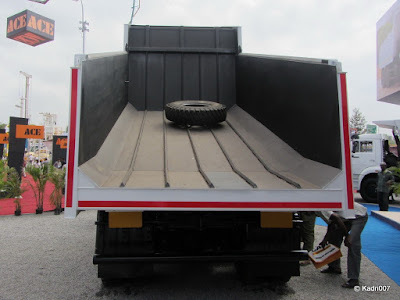 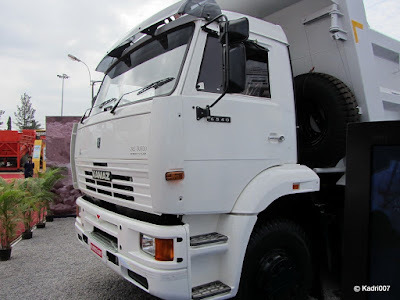 The heavy duty trucks are exported around the world. Many in India would not know about the fact that daily 260 Kamaz trucks are manufactured, which annually Counts to about 93600 Trucks. 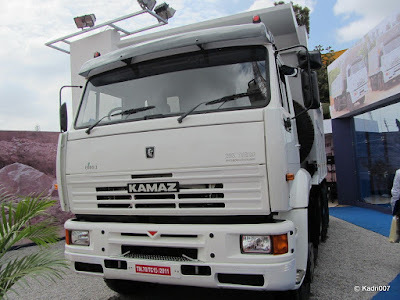 In India Kamaz trucks are getting assembled in Hosur which is in Tamil Nadu on the outskirts of Bangalore. The Russian Giant entered the Indian Market 2 years back and today Kamaz trucks sales are increasing day by day. Though I had seen Photos of Kamaz trucks plying in India, seeing the Kamaz truck in front of the eyes for the first time was really something amazing. 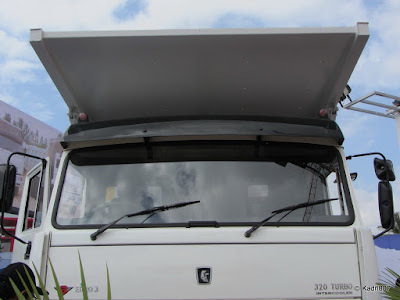 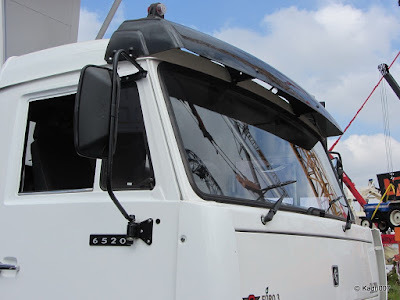 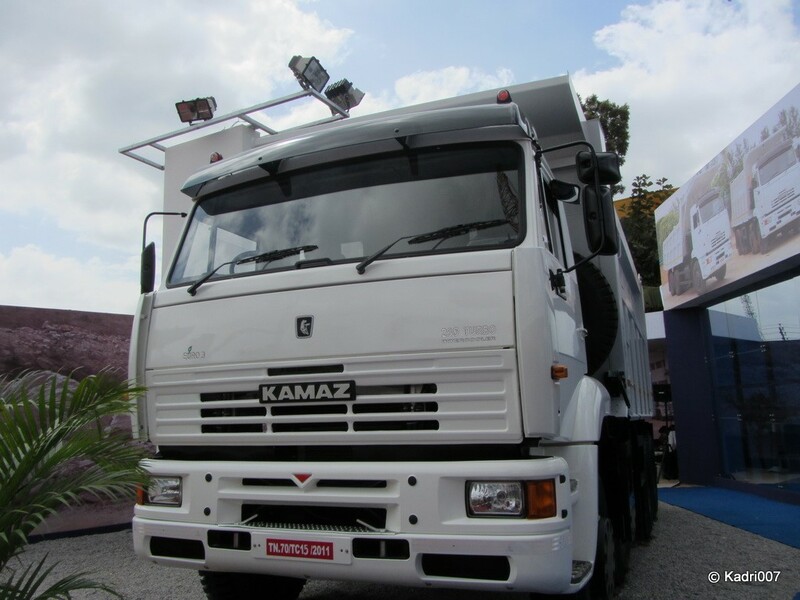 There were two giant white beauties standing at the Kamaz stall during EXCON 2011. 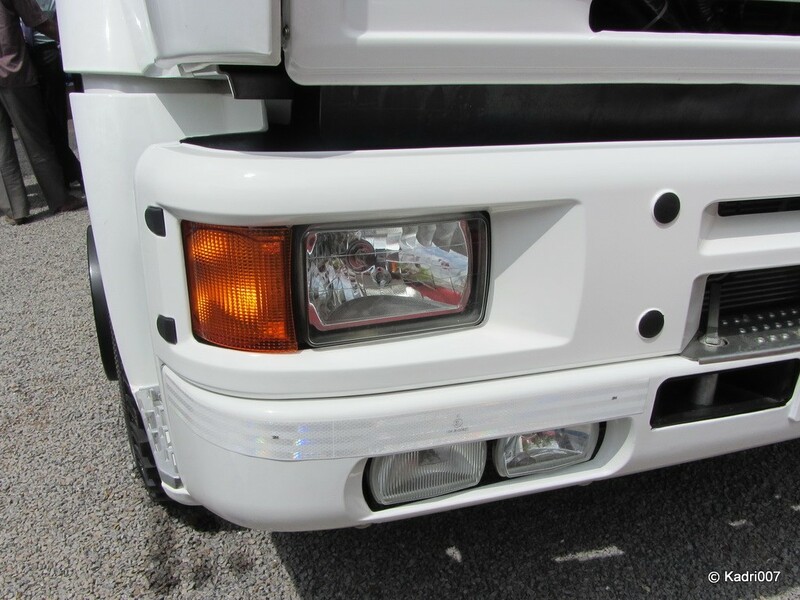 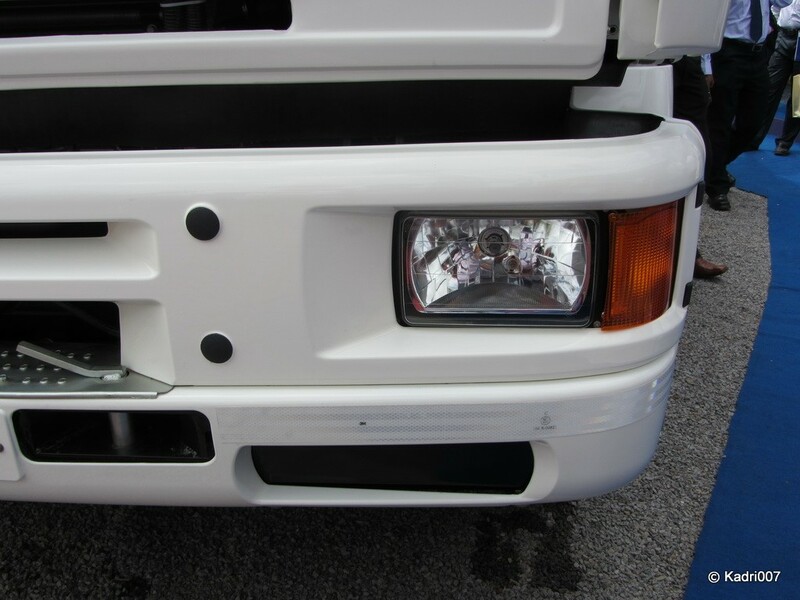 From the very look only you can make out these trucks are built to perform. The built quality is truly amazing and it gives a feeling of a no nonsense truck. 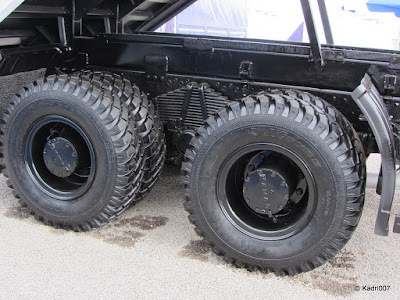 Its a solid work horse destined to work on any terrain. 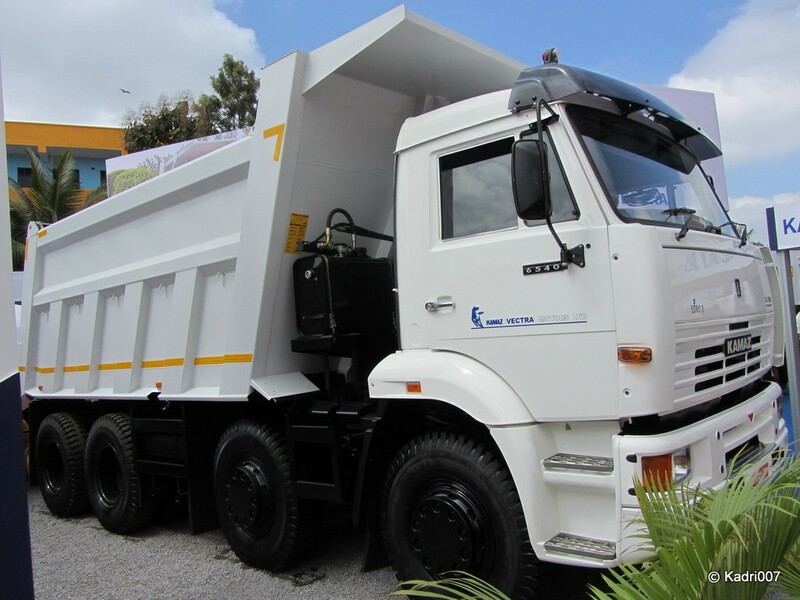 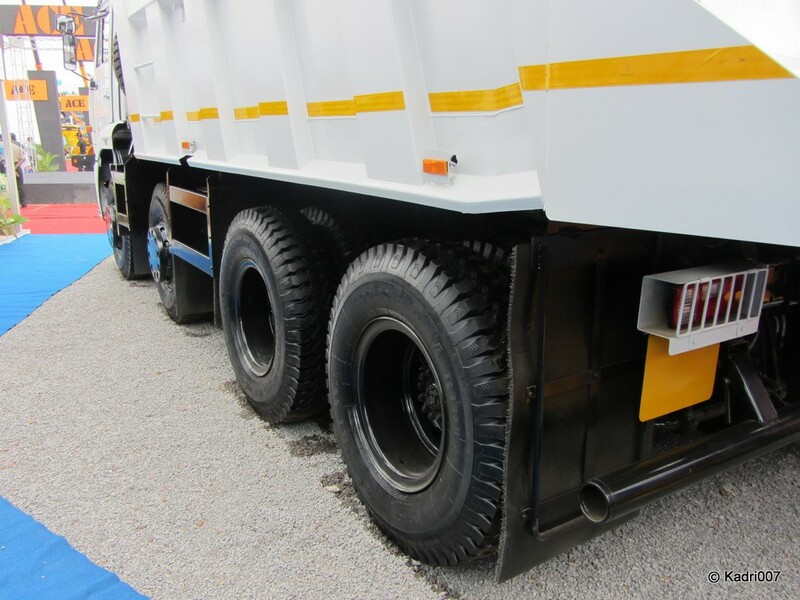 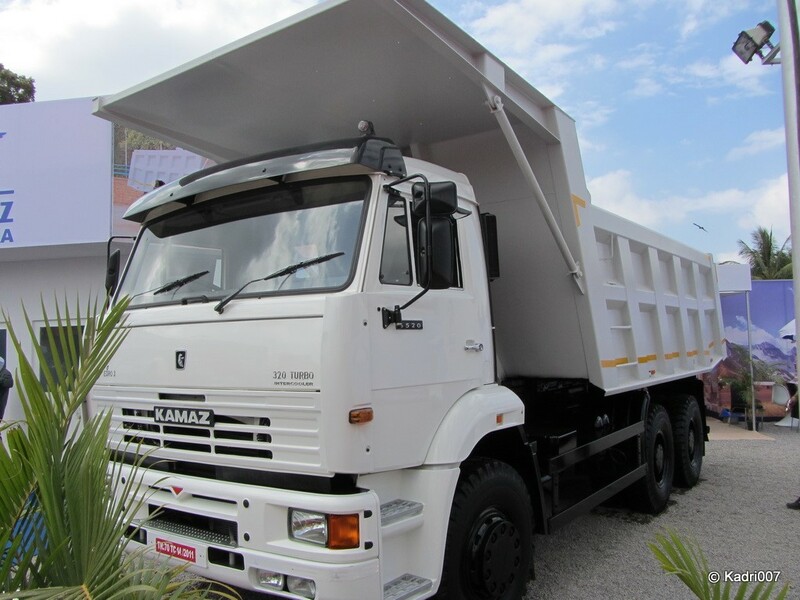 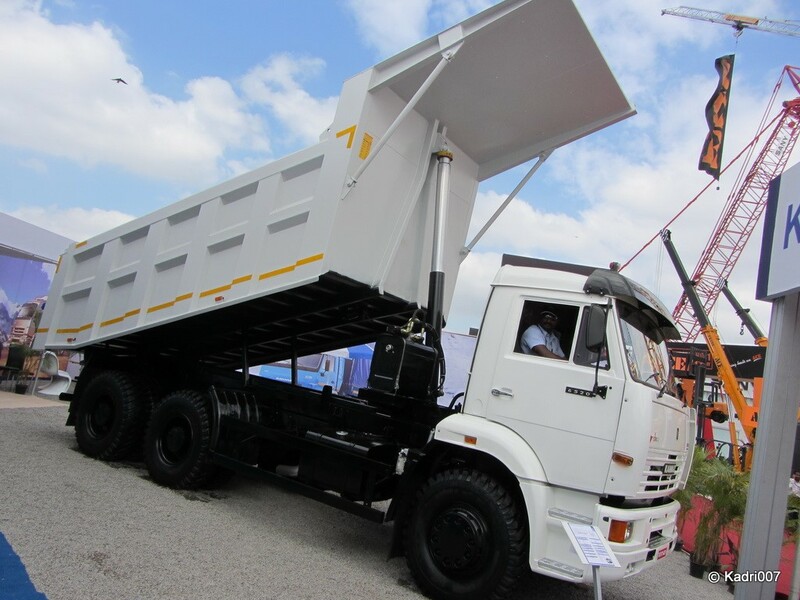 These high performance trucks from Kamaz are ideal for construction and mining activities. 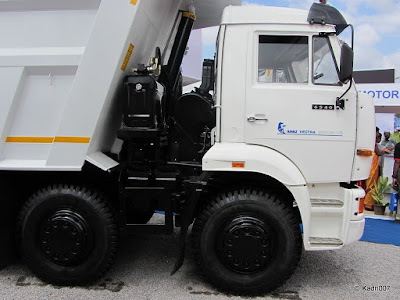 There are two models of Kamaz Trucks in India, Kamaz 285 Truck came in the Indian market two years back. And Kamaz 320 was launched during EXCON 2011 in November 2011. 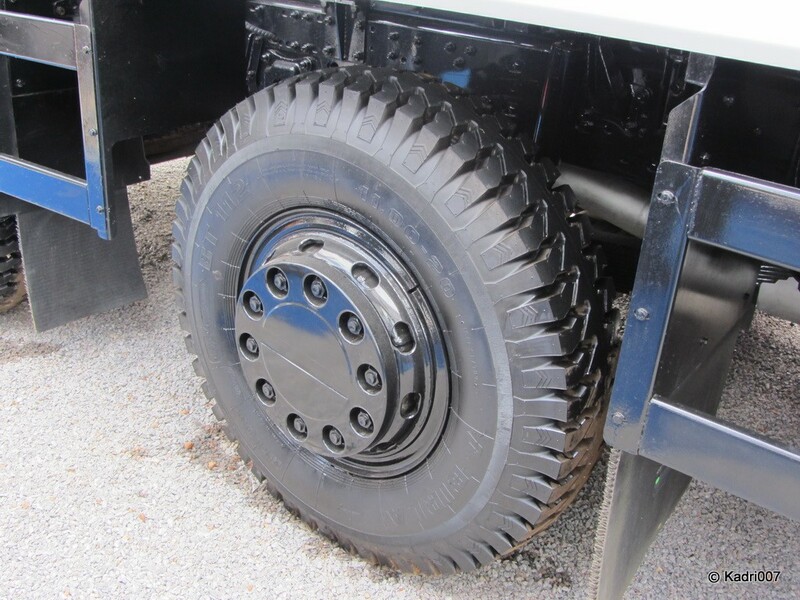 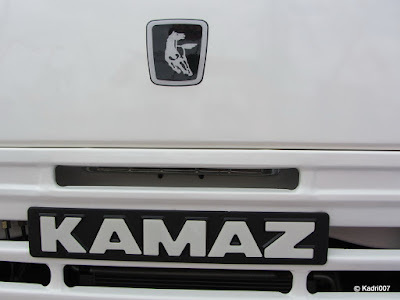 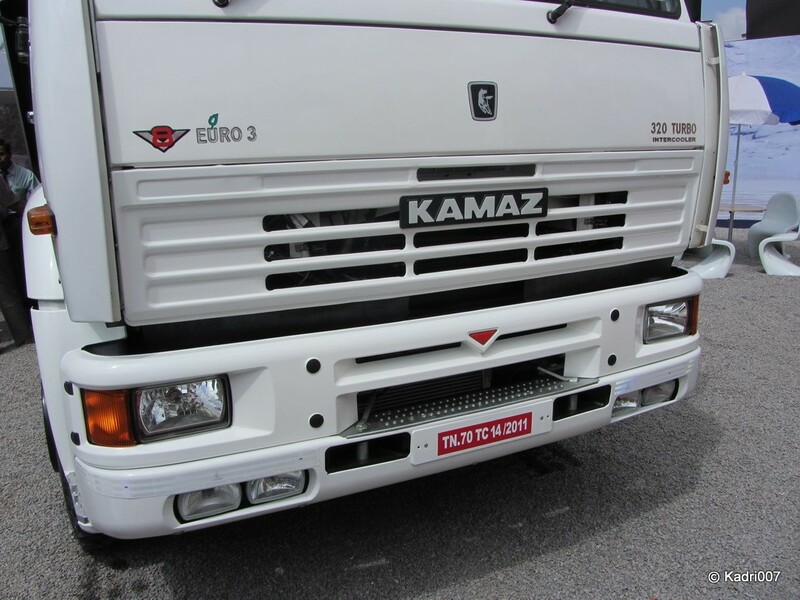 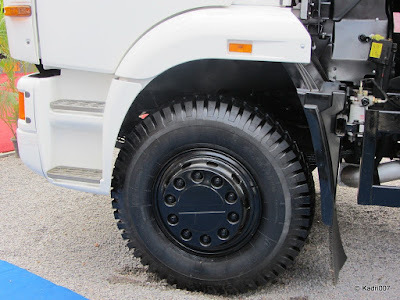 Kamaz trucks are know for low maintenance and low operational costs. 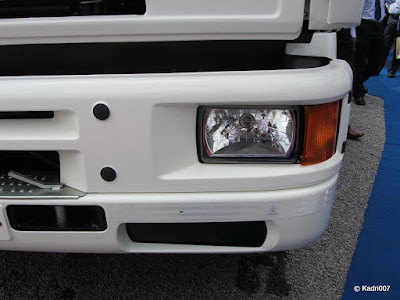 Just look at the fit and finish. 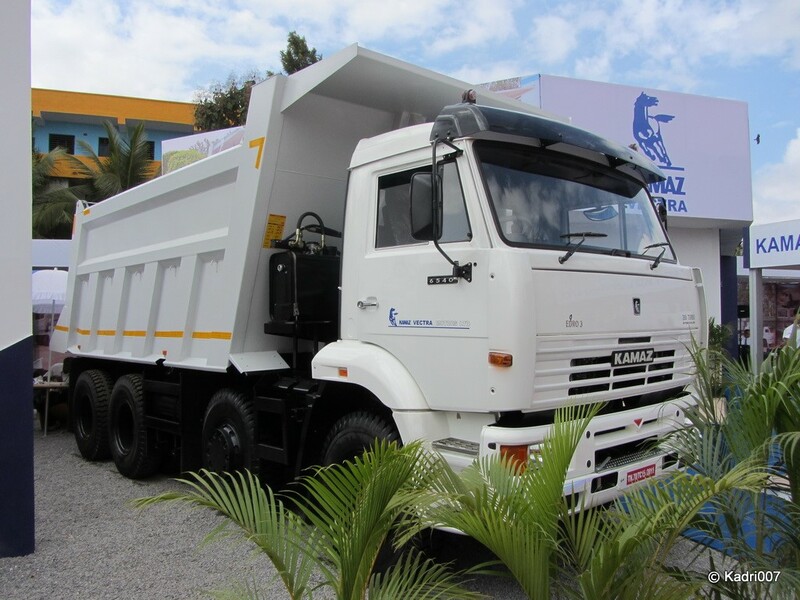 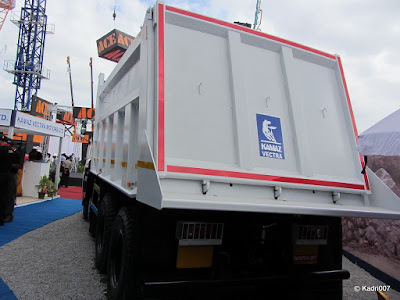 A solid truck from Kamaz fit for Indian roads. 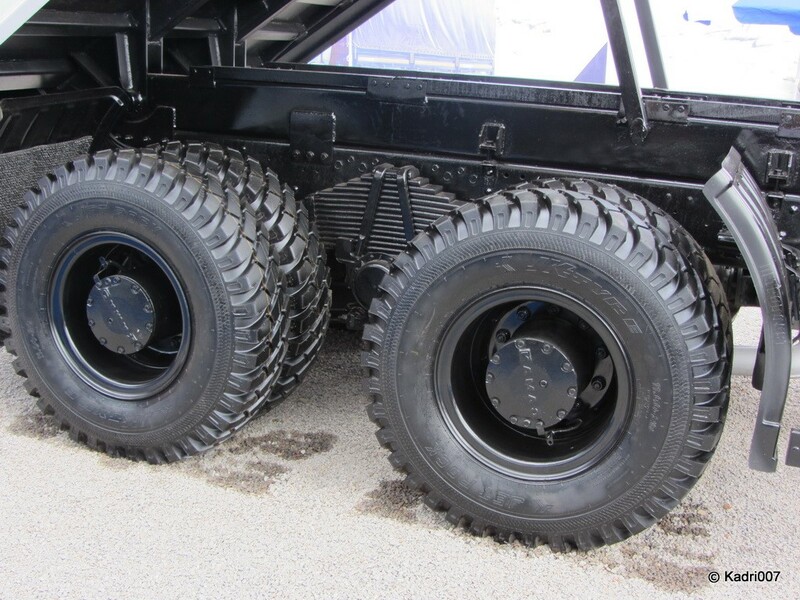 4320 MM Wheel base with 296 MM ground clearance. Kamaz 6520 soon going to change the Indian tipper market. 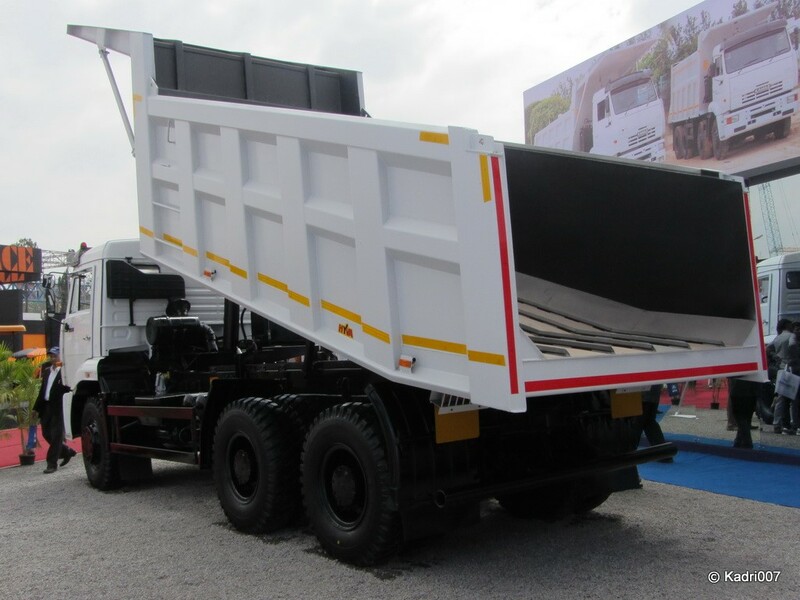 Max speed of 80 KMS with Anti Roll bar Heavy duty bogie suspension. 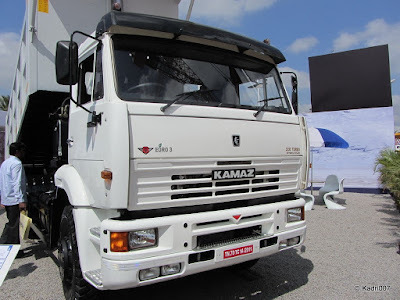 Kamaz 6540 is known for its reliability and innovation world over. 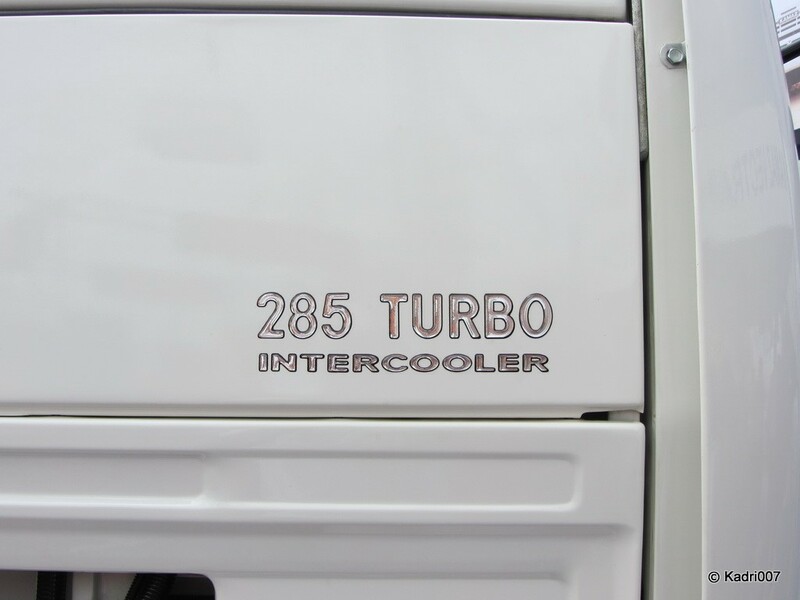 8X4 Version for increased performance. 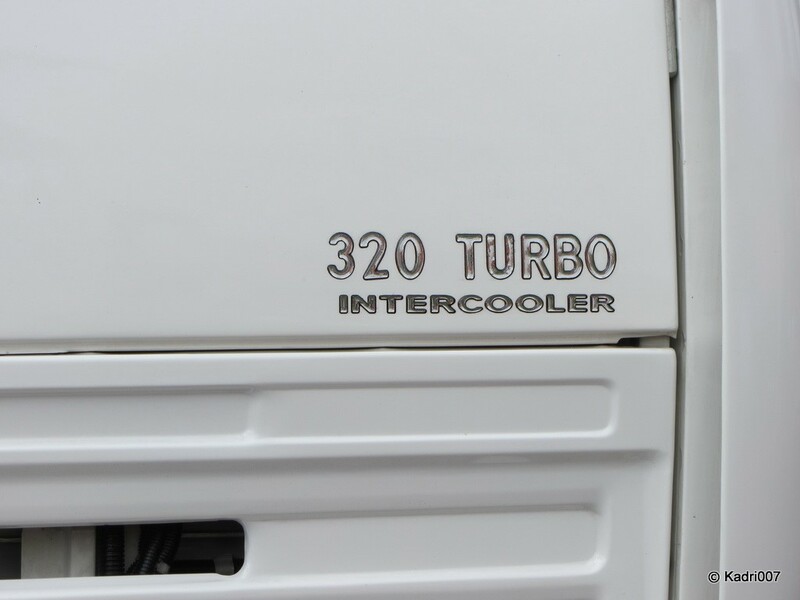 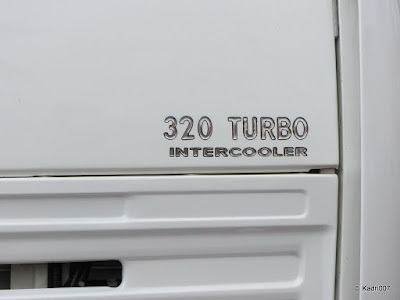 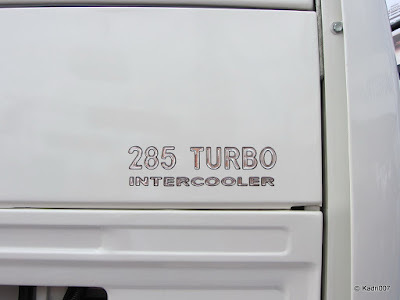 285 HP Turbo Charged Intercool engine.